My tennis buddy asked me the other day what phone he should buy; price is no object. A simple question, but what a chance to nerd-out for a gadget lover like myself! So if you’re in the market for a new flagship-quality phone, here are the options in alphabetical order and a conclusion on which I would personally buy. A lot of it comes down to preference, and since this is my blog, I’ll give you a bunch of mine intermixed with what reviews have been saying in aggregate. The phone feels great to hold (the white version has a ceramic feel; the black version rubbery); the screen is great; and it benefits from a stock Android experience that will get upgrades directly from Google. It’s also fantastic value if you can get it from the Google Play store. Most of the people in my office have this phone. But if price is no object, the Nexus 5’s inferior camera and below average battery life relative to other phones on this list might be an issue. I purchased the previous version of this phone (the M7) and absolutely loved the metal body. While the M8’s 4 megapixel camera is small by today’s standards, it takes great low light shots and that’s usually what I need a phone camera for. The bokeh effect with the second lens is amazing – sure to impress your Instagram friends. It’s also the best looking phone on this list and I actually like HTC’s skin better than stock Android. The main reason I didn’t purchase the M8 is the phone’s low screen-to-size ratio. I hadn’t used the M7’s superior speakers much so the trade-off in the larger form factor isn’t worth it. The phone is simply too large relative to its 5-inch screen. The iPhone 5S is my daily driver right now. In part it’s because there needs to be at least one regular iPhone user on my team and currently that’s me; in part because of Apple’s best-in-class app ecosystem. As a tech entrepreneur, I want to try all the latest apps and they usually appear on iPhone first. The 5S also has a great camera and now that I’m used to it, I’m not sure I can live without the fingerprint scanner. However, the phone’s screen is just too small at 4-inches and I prefer Android over iOS by the smallest margin. With a large screen iPhone 6 just around the corner (finally! ), I can’t recommend a 5S right now unless you’re an Apple fan or must have the latest niche apps. But as long as you don’t mind the screen size, it’s a fantastic phone. If you don’t mind the plastic form factor, this is probably the phone to get. It doesn’t have any weaknesses and I love the phone’s large screen-to-size ratio. The battery is replaceable and there’s also an SD card slot. I don’t know if a 1440P screen is necessary and in my opinion it’s not worth the trade-off in battery life and performance; yet the G3 does well enough in terms of battery life and performance. The G3 dominates the Samsung Galaxy S5; I see no reason to get the latter over the former. My problem though is that I do mind plastic, especially when it looks faux metal but still feels cheap. It’s just tacky. The Icon is the representative Windows Phone on this list and probably its best one. With the 8.1 update, Windows Phone is now mostly on par with iOS and Android as an operating system; all the major stuff is there, it just needs more support from app developers. The Windows Phone home screen is also the most beautiful of all smartphones. The Lumia Icon itself is a fine phone, with an incredible 20 megapixel camera and gorgeous display. Once you get used to the 20 megapixels it’s hard to go back; take the photo first, frame it later. I still wouldn’t recommend this phone to the average person due to the app situation, but I could see myself buying the Icon over other Android phones on this list. It’s a great phone for the contrarian who wants something different (but still good). This is the oldest phone of the bunch, and while it is a fine phone it’s better to wait for the sequel. Plus, this only has a 720P screen, which today seems low budget. Good things about this phone are how well it feels in the hands – it’s been described as the perfect size and shape – and proprietary software features like voice activation. This phone is notable because of its price – it has the internals of a flagship device but starts at $300 with no contract. The phone is quite good looking too and comes with the highly customizable CyanogenMod software. My friend did say price is no object, but $300 is $300. Unfortunately, it is also practically impossible to buy. Fortunately, I was able to score an invite; see our review here. Like the One Plus One, except more expensive at $500. It’s also not as nice looking as the One Plus One, and Oppo’s proprietary skin makes mine crawl. It feels old, looks tacky and is a bit confusing. If you’re comfortable rooting the phone, this can be good value but if price is no object I’d get something else. I’ve included the Note 3 in this round-up as the phablet representative. This is a worthy phone if you also want a small tablet – it’s a waste to buy both a 5, 6-inch phone and a 7, 8-inch tablet; it’s just too close in screen size. But if possible I’d wait for the next generation of the Note 3 (and its brethren) to arrive this fall. There is almost no reason to choose this phone over others. The Samsung software is much better looking than before but overall still a negative. It’s an ugly phone too; the design took a step back from the S4. It doesn’t feel as nice in the hands and the faux leather is a turn off. There are positives of course: the screen is best-in-class; removable battery and SD card; good outdoor camera. It’s also waterproof but the thought of always having to remove a cap to charge the phone is dreadful. If you have to get this phone, at least get the Google Play version. Rumor has it Samsung is readying a “Prime” version of this phone, one with metal construction. Until then, maybe, but for now no thanks. Sony made great strides on their Xperia Z line, and the Z2 is finally competitive with other flagship phones. It looks good with its rectangular slab shape and glass construction, but it’s also uncomfortable to hold. The corners really dig into the palms. The phone has a good camera and fantastic battery life, but the display is lousy outdoors in sunlight. Finally, while it’s waterproof, it also means you have to take off the power plug cover every time you want to charge it. I’m lazy so that’s almost a deal breaker. The LG G3 is almost the perfect phone – if only it was made of better materials. It doesn’t have to be metal; for example, the Nexus 5’s polycarbonate shell feels amazing. I’d also rather have 1080P than 1440P resolution to get better battery life and performance. Otherwise, the LG G3 is the phone I recommended to my friend and the one I’d get today if I needed to purchase a flagship-quality phone. Update (August 20, 2014): Moved up the OnePlus One, moved down the Nexus 5. 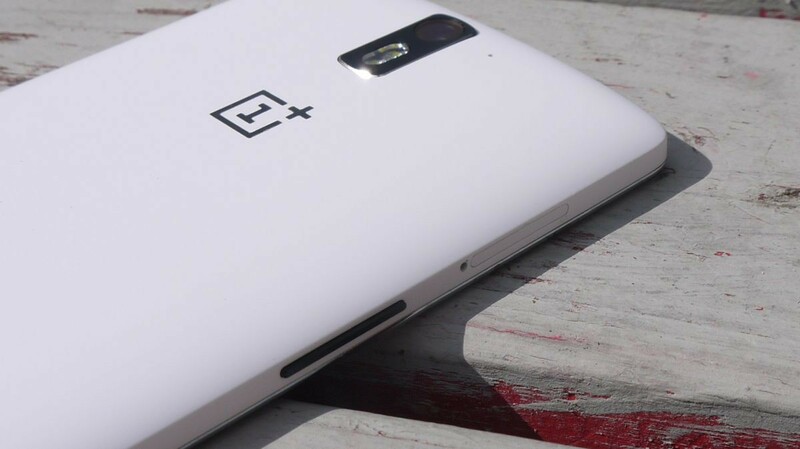 Head to head, the OnePlus One is better. Also, after having used the OnePlus One for a few weeks, I’ve decided to sell my iPhone 5S and make the One my daily driver. So that is reflected in the ranking.